flavour comes to Galway to celebrate 10 years of the Irish Fashion Innovation Awards. This year, Goldenegg Productions will host a spectacular finale as part of the Awards 10 year anniversary. In addition to the several competitive categories in Fashion, Accessories, Millinery, Jewellery and Ones to Watch, the evening will feature ‘The Perfect 10’ – which will comprise of ten leading Irish designers who will showcase their unique designs on March 14th 2019 at The Galmont Hotel & Spa, Galway. This showcase is a must-see, featuring the best of Irish design and will include high impact fashion, fashion skill and imagination with international appeal in addition to the exciting design talent featured across a range of disciplines in the main Award categories– fashion, millinery, jewellery and accessories. York, Ibiza and London. 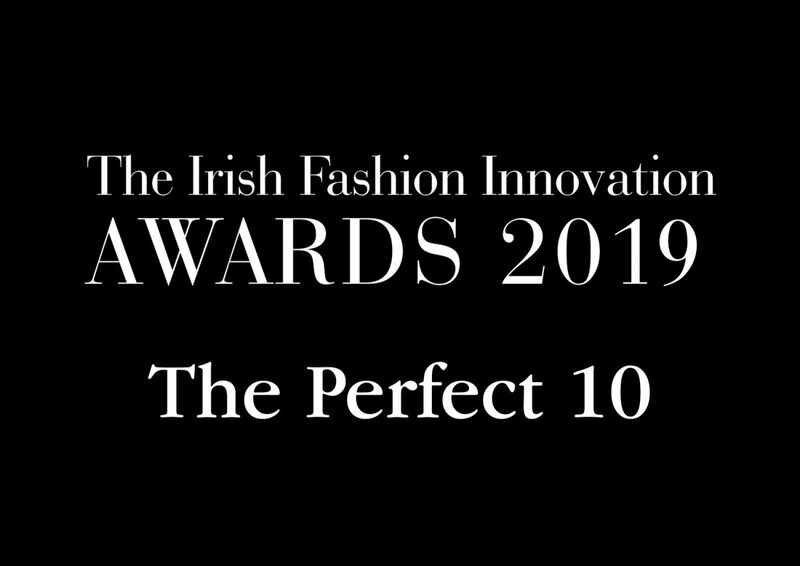 The special finale featuring ‘The Perfect 10’ will comprise of special pieces from the following leading Irish designers – many of them former winners of IFI Awards. pieces on for her appearance on the Late Late Show in London. pieces with an international appeal. Niamh O’Neill; A former winner in the fashion category of The Irish Fashion Innvovation Awards and creator of one of the most elegant Irish labels. She recently showed in London in a gala show in aid of the London Irish Centre. Sara O’Neill for Éadach; Sara creates her own prints and translates them into ‘must have’ silk scarves, wraps, kimonos as well as applying them to vintage leather jackets. Helena Malone; A gifted goldsmith who demonstrates her extraordinary skill in using precious metals, exquisite diamonds and gemstones in her jewellery design. Carla Johnson for Mona Swims; Carla’s designs have featured at New York Fashion Week in 2018 with her internationally renowned swimwear and cruise collections. She sells in several elegant international cities and resorts including New York, London, Las Vegas, Beverly Hills, Ibiza, Turcs & Caicos Islands. quality in her award winning designs. Deirdre Duffy for Wild Cocoon; A textile designer with a unique ability to combine colours and textures in a mesmeric expression of Irish fashion and craft. Blaithin Ennis; A multi award-winning jewellery designer who sells on both sides of the Atlantic. Her exclusive handmade technique has captured the imagination of a host of celebrities. She lists Cheryl Cole, Nicole Scherzinger and Una Healy as clients.